The Snowfall challenge is a season-long challenge that will reward players with the Snowfall skin. There is always a season-long challenge that asks players to find secret battle stars, like the Road Trip challenge from Season 6 or Blockbuster challenges from Season 5. 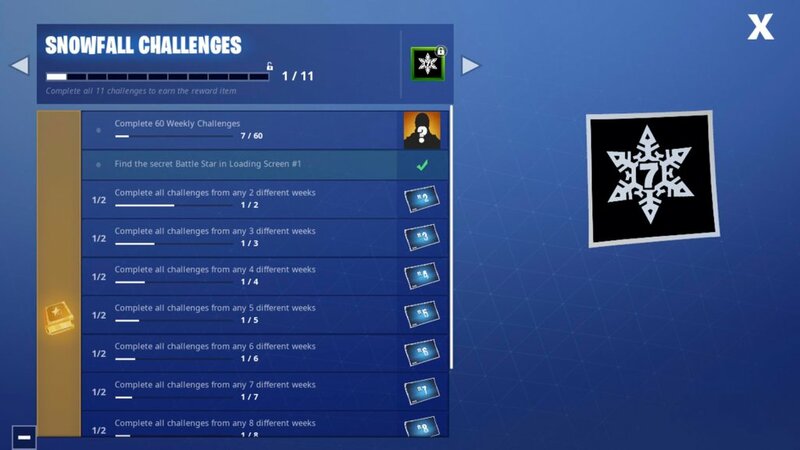 Once players complete every challenge from each week, they will be rewarded with a loading screen. After players complete 60 challenges from different weeks, they will be able to unlock the Season 7 exclusive Snowfall skin. Each week players are tasked with finding a secret battle star across the Fortnite map, but only after they complete every challenge for that week. Players will unlock a loading screen that will give them a hint on where the battle star is hiding once they complete all of the challenges. 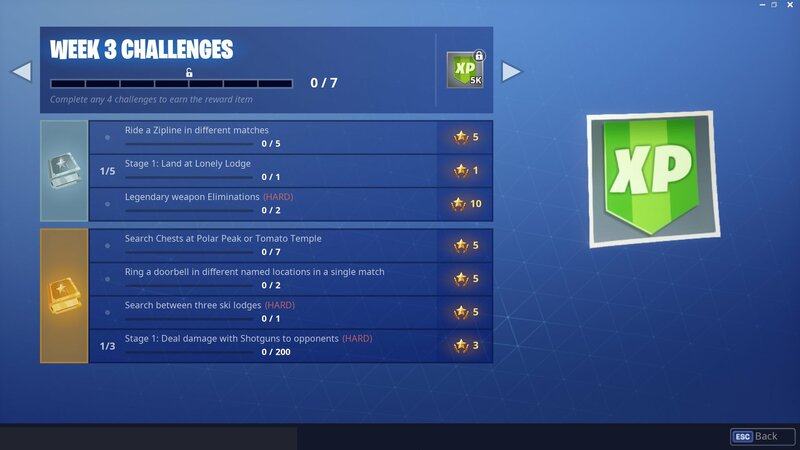 There are seven challenges to complete with the Battle Pass each week. The loading screen for Week 3 features the Sgt. Winter skin holding a hot mug of coffee or hot chocolate. Five A.I.M. 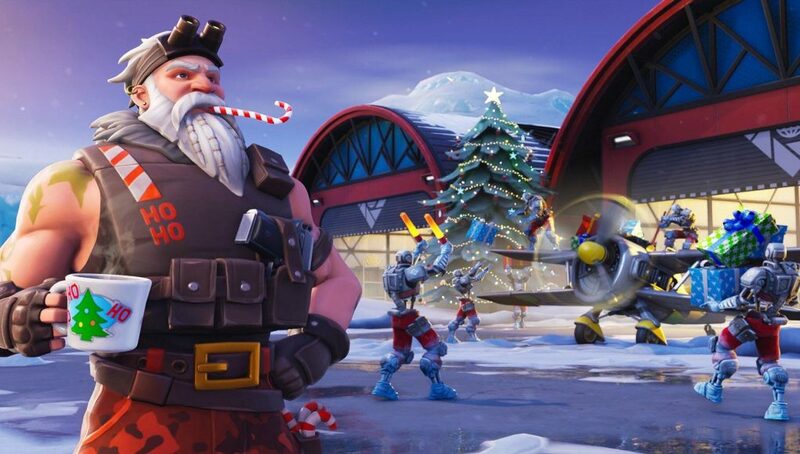 robots, the Hunting Party skin from Season 6, are walking around an airplane trying to load gifts, seemingly taking over for Santa’s elves! Week 3’s battle star can be found in Frosty Flights, just inside the eastern aircraft. Once you arrive at the hanger, the star will be sitting on the back metal shelf. 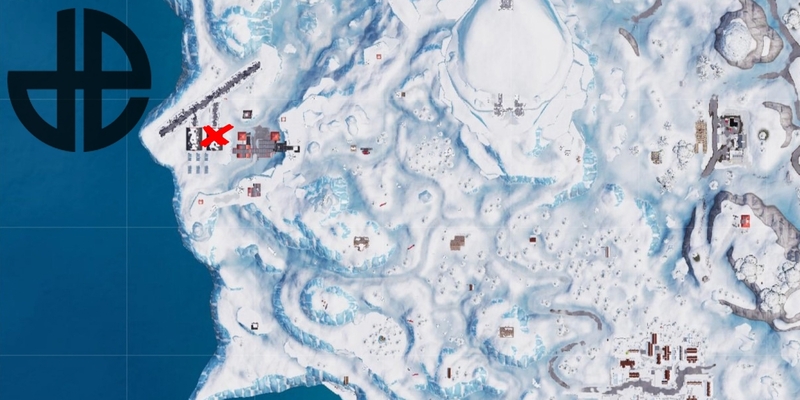 Frosty Flights was one of the new areas added into Fortnite with Season 7. If you land at Frosty Flights at the beginning of the game, you should be able to grab the secret Battle Star with no problem.